Born and raised in Springfield, business owners Donnie Richardson and J.J. Corredato, run RichCorr Designs in Sherman, IL, – where they’re neighbors. The pair develops custom designs they create by using a plasma torch and CNC cutting machine – and the purpose of this? 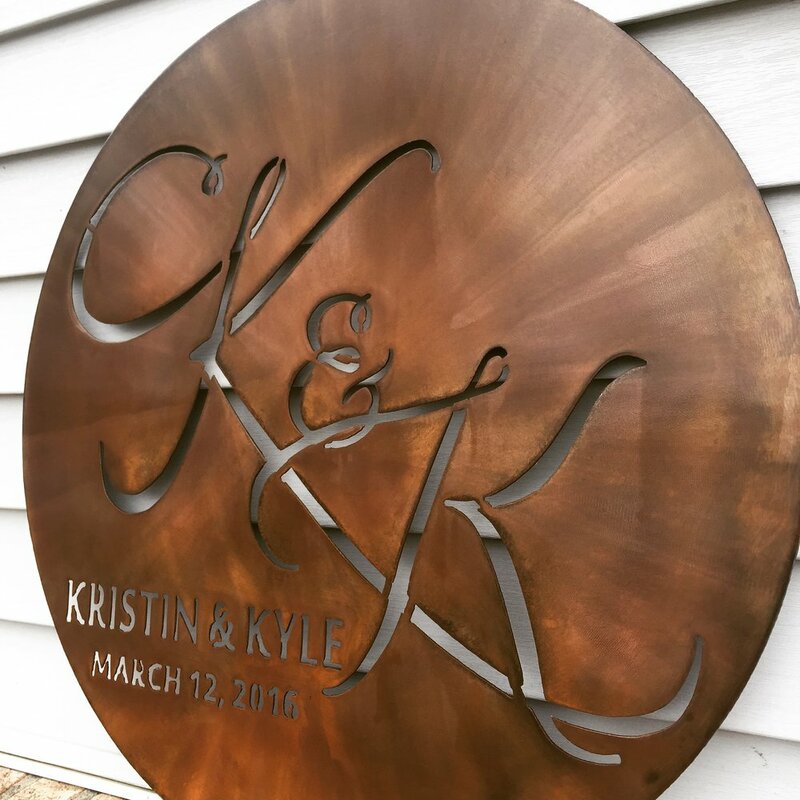 To produce one-of-a-kind, unique, metal pieces that their customers love. What does RichCorr Designs specialize in? We specialize in custom work. Many metal shops will take an image and slap a name on it. We take the time to design a piece that has never been seen before while including the customer in the process. This is what makes RichCorr Designs unique. At this time, RichCorr Designs does not have a retail outlet. All of our work is done in workshops at our houses. We have an online presence with our website, Facebook, Instagram and Twitter. People can see our work by visiting any of these. When did RichCorr Designs launch? We started this as a hobby and offered our pieces to friends and family in early 2015. However, as more people saw our work, the more orders we got. Our hobby quickly turned into a small business, which we couldn’t be more thrilled about. What drove you to partner together and launch RichCorr? Donnie and I are brother-in-laws and have known each other for more than 20 years. With our backgrounds in the trades and art, when the opportunity to buy a CNC machine arose, it was a no-brainer. Did you experience any bumps along the way? The decision to buy the equipment was easy. Learning the different software and programs was a little more difficult. We did a lot of reading and talking to people, which helped us learn all we could about using a CNC cutting machine. 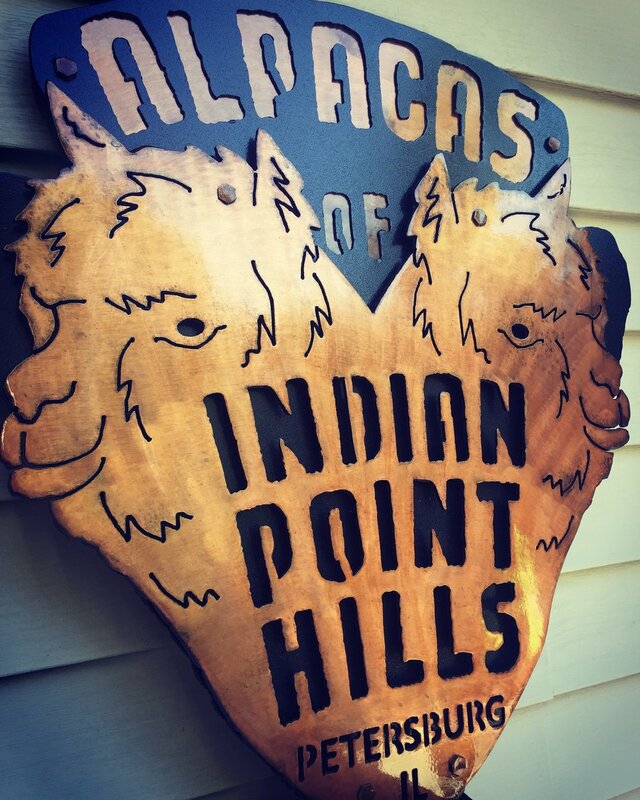 We’ve made hundreds of custom signs but some of our bigger projects include signs for Sangamon Reclaimed (Springfield), Spirited Republic (Lincoln), Timōtheous Brothers Brewing (Springfield), Metal Monkey Brewing (Romeoville), and a special sign for Dubois Elementary School in Springfield. Is there any one piece that stands out for you? A good friend of ours works at Dubois Elementary School. She came to us for a sign that would be used to rename the auditorium after their music teacher who lost her battle with cancer in March. We never met Jennifer Ryan but after talking to the people at Dubois it was obvious she was a special person who was a passionate music teacher. We wanted to come up with a sign that would really stand out. We ended up using her signature as part of the sign. We hope our sign can bring smiles to everyone that enters Dubois. It now hangs across the double doors entering the auditorium. A day doesn’t go by that we don’t think of new designs for signs, so we are always coming up with something new. We’ve also been working on metal yard sculptures that we hope to offer to customers in the spring. Our biggest challenge has been balancing running our small business while working our full-time jobs and family life. We are married to sisters and we both have four children. A custom designed job can take anywhere from a week to a month, depending on the difficulty of the design. Our customers understand this and don’t mind waiting a few weeks for their one-of-a-kind piece. Another challenge we find is getting our name out. Most of our jobs come from our Facebook page. We understand not everyone uses Facebook or other social media platforms, so we hope to start doing some advertising and start going to craft shows and festivals in the future.